Nurses picketed outside Stroger Hospital Friday morning. 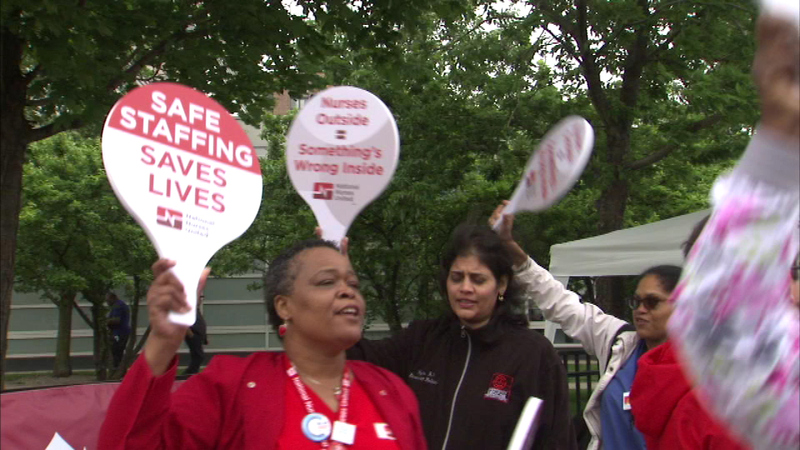 CHICAGO (WLS) -- Nurses picketed outside Stroger Hospital Friday morning. The staffers are angry about what they call growing staffing problems and wage theft. The nurses voted in April to authorize their negotiating team to call a strike if necessary.